Davide Simoni inside his deli, Salumeria Simoni. “My dream is to make mortadella.” That’s not the kind of dream you hear about every day. But Davide Simoni ’s life has been one with this signature Bolognese cold cut since an early age. He grew up among salumi: his father owns a prestigious deli in the center of town, within the old market area of Bologna, Salumeria Simoni, where they sell mortadella and other local cold cuts, all kinds of prosciutto including culatello, Parmigiano-Reggiano, balsamic vinegar and many other regional delicacies. 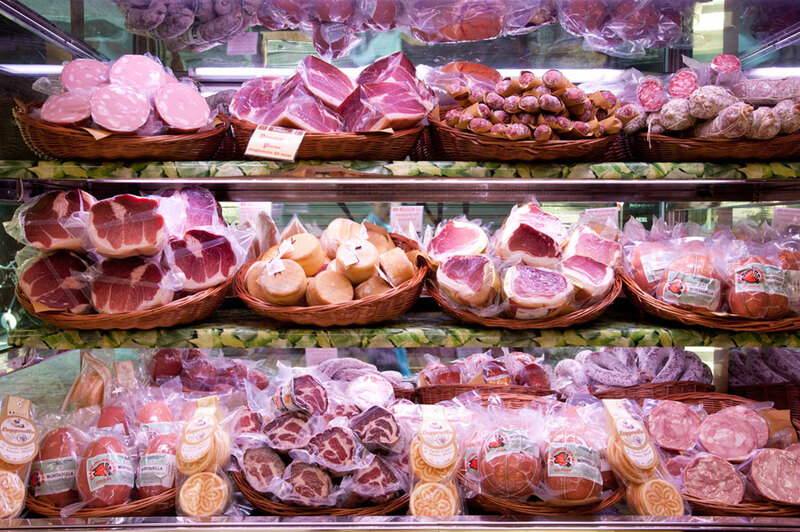 When, as a teenager, he didn’t behave – which, according to him, happened more often than not – his father “punished” him by giving him some chores to do at the salumeria. “He wanted to show me what it means to work,” Davide recounts with a laugh. Now Davide is 31 years old and works at his father’s shop full-time. Even though that’s not what he had necessarily planned to do: he studied Communication at the University of Bologna and worked as a journalist at a local newspaper for a few years. But when things took a turn he didn’t like, he returned to his first love: being a salumiere. 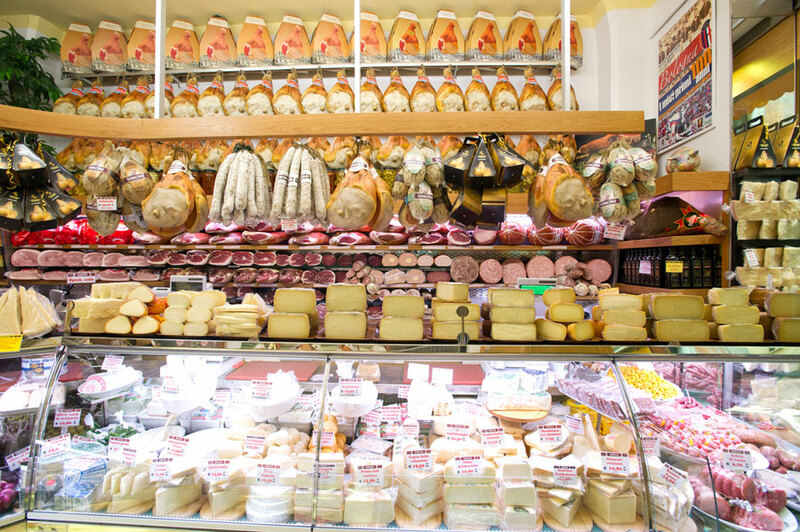 “After the disappointment with my journalism career, I called up my father and told him, ‘Let’s open a salumeria in every European city’,” he remembers saying. After some time at the mortadella company, Davide decided he wanted to return to work at the shop, and with that, he brought some innovation and entrepreneurial spirit. 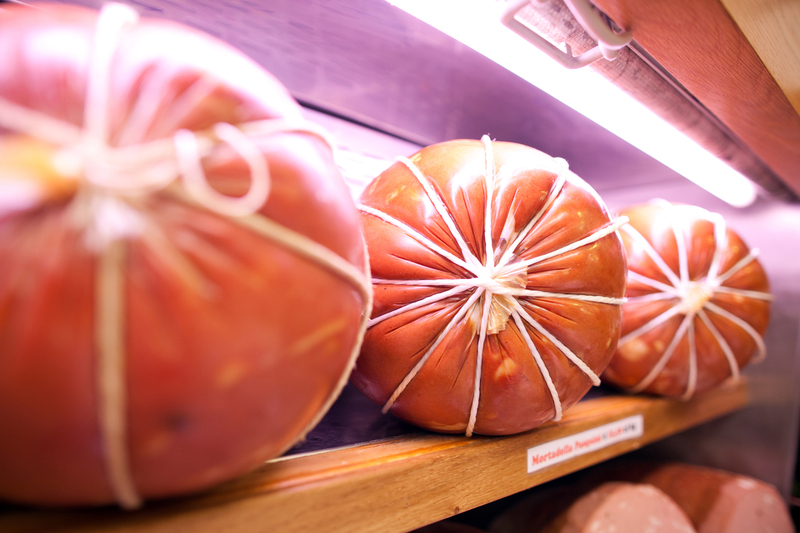 To share his passion for mortadella, he now offers 30-minute lessons on the history of mortadella, followed by a mortadella tasting. The lesson is offered in different languages including English and takes place just outside the store, among open-air stands of seafood, fresh pasta, fruit and vegetables. “This profession has lost its prestige, but it is really tough work. Many have quit. I am happy I anticipated the economic hard times and learned a profession. Ours is a small size company, but we keep going because there are people who wake up at 6 every day and leave at 8 at night. Every morning you have to prepare the counter and every evening you have to dismantle it,” he explains. Today, Davide is also actively involved with Salsamentari, the modern-day association of the old guild that, in the Middle Ages, brought together the people who worked pork’s meat to make mortadella. At the end of the 19th century, the cold cut industry was flourishing in Bologna, giving work to as much as 10,000 people. A local businessman decided to recreate the guild that had been dismantled by Napoleon and, in 1876, Salsamentari was born. 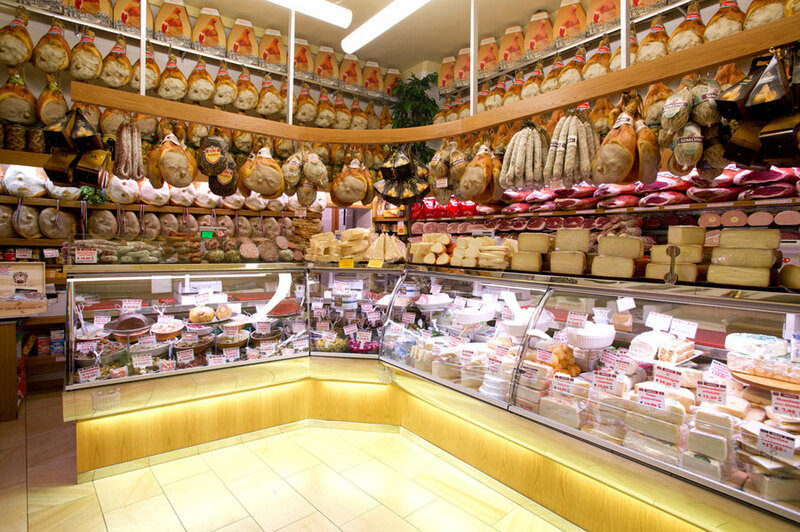 It was through his members that mortadella became known and exported all over the world. “I love the history of this association, and I will do all I can to never let it die because it is such an important part of the history of Bologna,” Davide says proudly. Sky Dylan-Robbins studied at the University of Bologna in 2009-2010. Originally from New York City, she made a series of videos about her Italian experience. Sky is now a producer at The New Yorker. 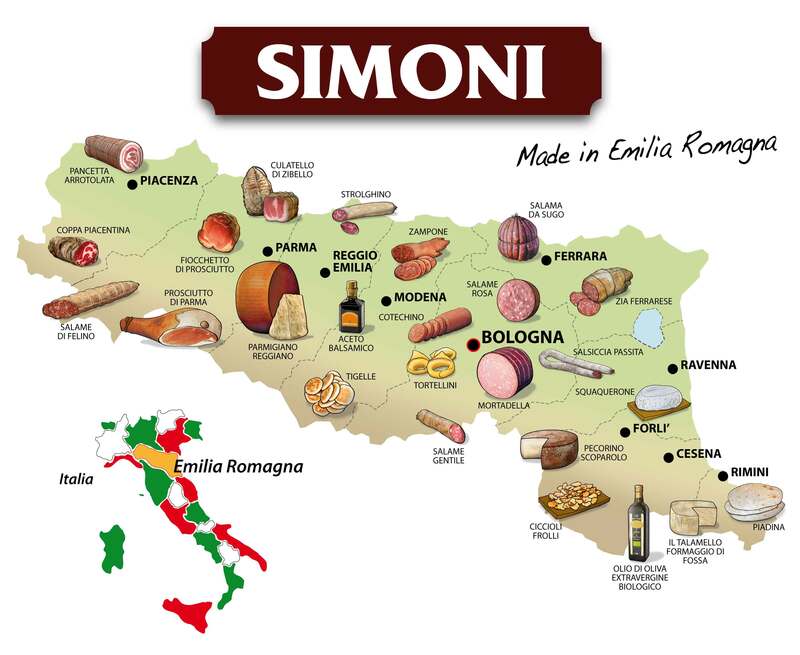 Here is her interview and visit to the Simoni (father and son). Enjoy – and thank you Sky for letting us share! 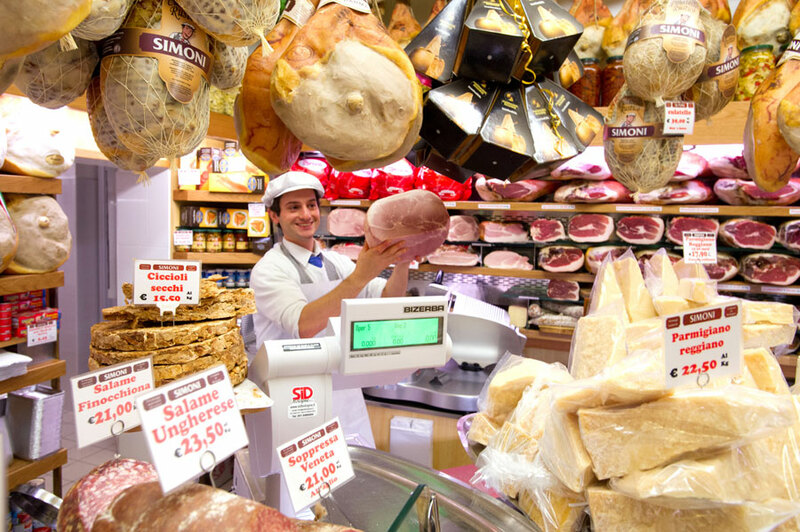 The video is the perfect conclusion to a very nice and informative article that makes you want to eat mortadella, parmiggiano reggiano and prosciuttto (ham) San Daniele! I’m a native Bolognese but I didn’t know anything about mortadella and its history. Now I know my home town a little better. 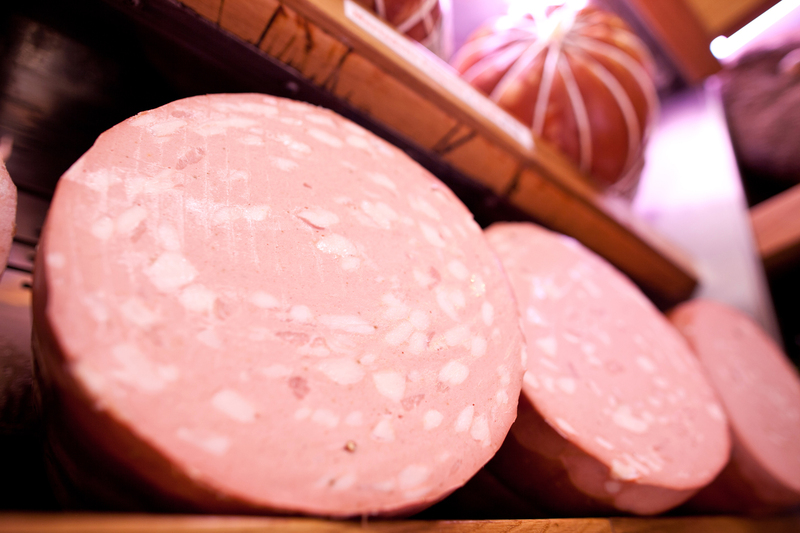 I wonder why,so far ,I have not eaten mortadella every day… But I hope to have time enough in the future to do it! Mi è molto piaciuto l’articolo! Soprattutto perché hai dedicato il contenuto al personaggio (Davide Simoni) più che alla mortadella.